The mild drama that occurred yesterday, 16th of October, 2018 between an Ilorin based legal practitioner, Mr Lukman Bello, and men of the Nigerian Police in 'A' Division in Ilorin, the Kwara State Capital, has been described as a barbaric, arbitrary assault, lawless and a slap to the entire Nigerian Bar Association, NBA. Today while Speaking with the victim, at the Civil Service Clinic in Ilorin, Mr Lukman Bello said the whole issue started when he went to the police training college in response to a distress call by one of his clients. 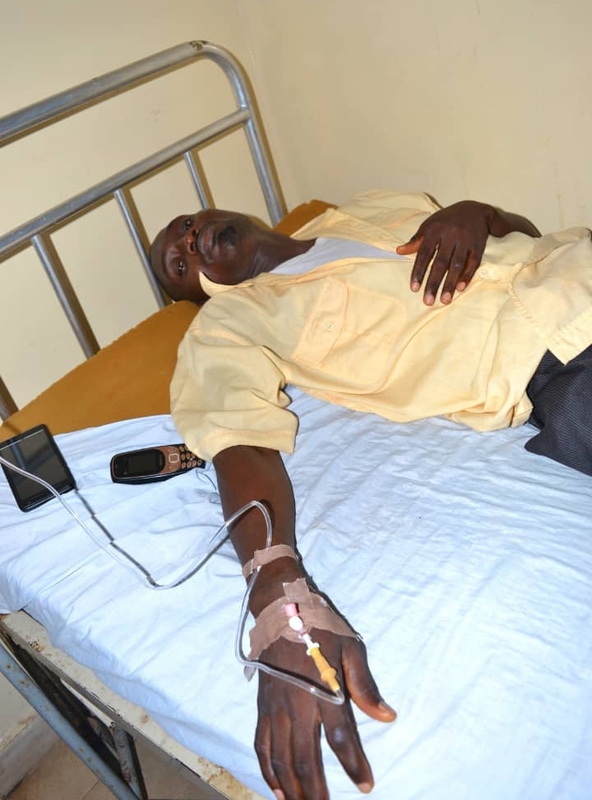 The lawyer said he was attacked while attempting to pass through the premises of the school. Lukman said, “They started calling me a fake lawyer. They asked me to produce my identity card, and I told them that I’m a private lawyer. “At this point, they pounced on me, slapping and kicking me, while some used the stick gun in their hands to beat me. "The police officers disgraced me, my profession and assaulted me publicly. This is not their first time but this will be their last time", Mr Lukman said. Lukman also said he was assaulted under the supervision of one Adeyemi Mulikat, who, he supposed, was a teacher in the police training college. The victim explained further that the incidence has been occurring frequently between the police officers and men of the bar and he vowed to charge the offenders to court to face the the wrath of the law. This medium also interview the State Chairman of Nigerian Bar Association (NBA), Muhammed Akande who expressed displeasure over the incident and he also promised to fight the case legally, in order to halt the perpetual habit of the men of the Nigerian Police. The NBA Chairman, Akande, said he visited the scene in company with Aduwa after he received a call that a lawyer was being assaulted in the police college. He said he was also assaulted. Akande said, “I received a distress call from one of our colleagues that a member was in crisis at the A Division Police Station, in the Challenge area and we both went there.